Thanks to the iPhone, many more of us have a camera in our pocket. But, like any art, great photography takes time. (Maybe not as much money wasted on roll upon roll of 35mm film, though.) That’s why we put together Macworld’s iPhone Photography Superguide, our attempt to help you glide through the rough patches and on to photographic stardom. This book explains it all: The nitty-gritty bits of taking pictures, editing and sharing your work, and using third-party apps and accessories to move from mischief to mastery. Learn how your iPhone can quickly transform into a portable camera when you need it to, whether it’s buttons pulling double duty or app shortcuts built into iOS. Discover how to take pictures in almost any situation using old photography tricks and tips. Decide how you’d like to edit, sort, and organize your images; we offer tips on the Photos app, iPhoto for iOS, and suggestions for third-party applications that can make your image-editing easier. And, if you want to see what other goodies can propel your iPhone to mobile photograph greatness, we’ve got just the thing with a roundup of the top iPhone photography accessories. 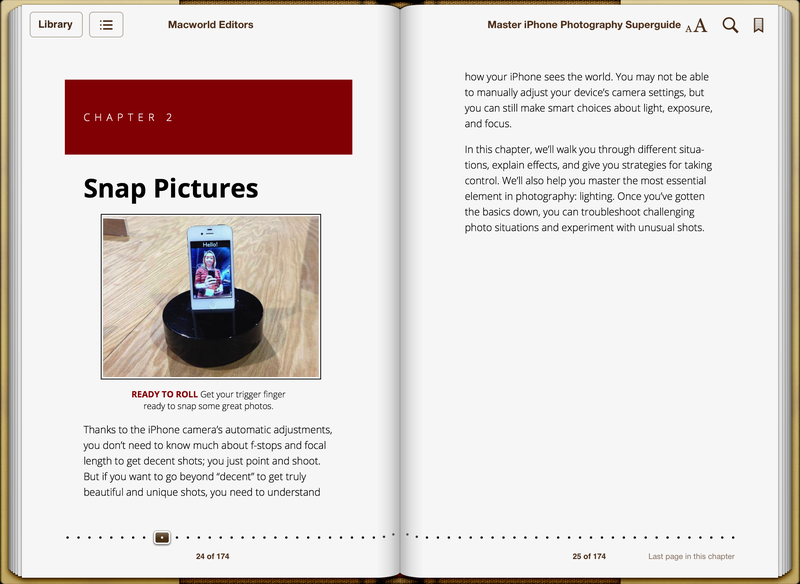 You can read our iPhone Photography Superguide right away on an iOS device by purchasing it from Apple’s iBookstore for $2.99. If you prefer reading on a Kindle or Nook, we also have the book available on the Kindle Store and Nook Bookstore for the same price. 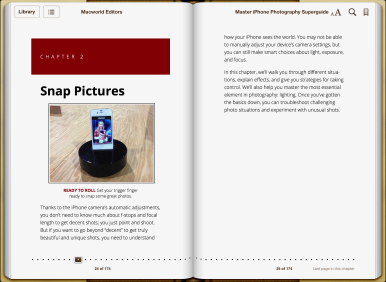 If you’d like to read the book on your Mac, consider a full color PDF of the Superguide also for $2.99; you can also cover all your bases for $1 more and have a copy of each version for all of your devices with our ebook and PDF bundle. Want to take a peek at the book before you purchase anything? You can either check out a free sample from the iBookstore, or download a preview from our website. 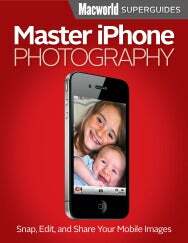 With any luck, this book will put you on the path to iPhoneography. If you want to learn more about your other Apple devices, make sure to check out our other Superguides, including our iPad Superguide, iPhone 4S Superguide and our Total Lion Superguide. And for those who want to be savvy iOS users, our iPad-exclusive ebook 12 Things Every iPhone and iPad User Should Know has you covered.